IT’SUGAR is a candy store specializing in innovative sweets, fun novelty gifts, and giant candy. Everything from sweet and sour, to chocolate and gummy can be found among IT’SUGAR’s thousands of indulgent confections. Alongside classic candy, whimsically giant goodies, and rare retro favorites, IT’SUGAR also offers exclusive, private label treats like irreverent chocolate bars and innovative candy gifts. Never one to stop at the sugar rush alone, IT’SUGAR expands their love of all things sweet and sassy with trendy, branded collections of clothing, sleepwear, home goods, and accessories. Exclusive IT’Sugar Pusheen Coconut & Pineapple Plush! On a scale from 1 to Pusheen, how ready are you for summer? 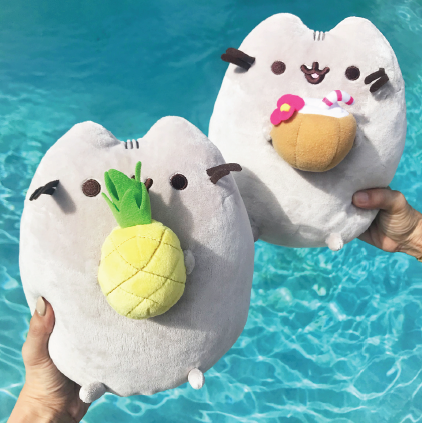 IT’SUGAR’s exclusive pineapple and coconut Pusheen are now available online and in-store at Desert Ridge Marketplace!